HEADS UP! GETTIN' REAL CLOSE AND PERSONAL TODAY. okaaaaaaay how cute are these pictures?! haha yeah i'm kidding. excuse the weird faces and my thick lenses! i know these pictures are ridiculous, but i'm hoping someone out there might find this helpful :) i wanted to show my peel after my most recent chemical peel. sorry the quality isn't better! i was taking face shots on my iphone so that's just what ya get. 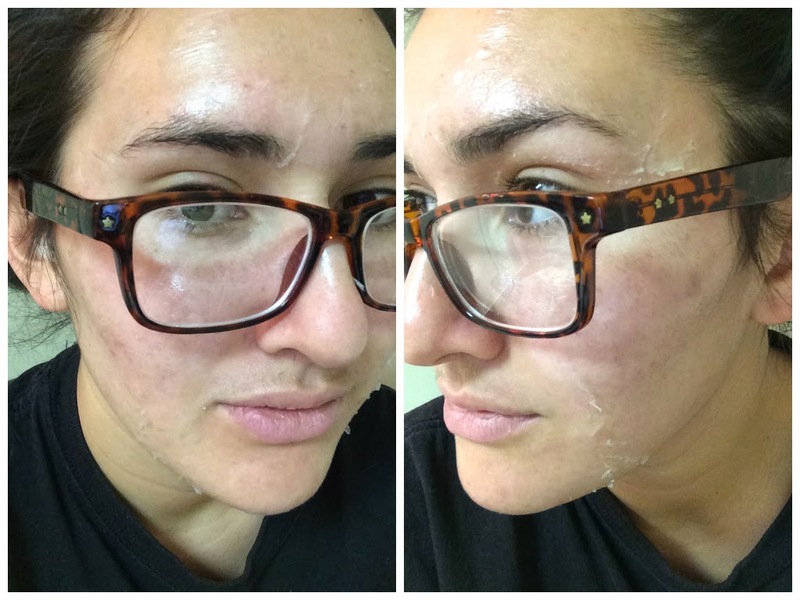 i shared some skin care tips and a little about my second chemical peel here. first off, i'll just say i can most definitely notice a HUGE difference. my skin has stayed clear and i notice it feels a lot more even and smooth. i'm still not exactly where i want to be, but it's getting there. if you're wondering what in the world a chemical peel even is or what it's supposed to achieve, well let me tell you. i don't know exactly what they swab on my face, but the whole point is to improve and smooth the texture of your skin. whatever chemical solution they use causes the top layer of skin to die and peel off for the fresh skin underneath to surface. my skin felt so rejuvenated and good after all the peeling was done! it helps with acne, blemishes, wrinkling, etc. even if you have pretty good skin, i hear it's good to get one just for a fresh start and sort of a clean slate. so these photos are from the week my face was peeling and this has been the most intense it's peeled thus far. the first two days it just felt REALLY tight and itchy, like SO tight and itchy. all i could do to satisfy the itch was to scrunch my nose and make weird faces. i guess you're not supposed to really scratch or pick at the dead skin because it can make things worse. but then shortly after, it just started peeling everywhere and i thought my face looked like it was falling off. i went to work for a day and then chose to work at home for the 3 days after that because i couldn't handle all the peeling and talking to people. haha i'm sure the guys at work were wondering why girls do this to themselves haha. even though i want it to look great for my wedding, i also just want to take care of my skin regardless. during that week i started every conversation off with explaining that i just had a chemical peel done and that's why i look like this and blah blah blah. i couldn't help but explain to people. it's super awkward having a conversation with someone and you know they're just staring at your face wondering what the heck happened. so i just took the liberty of explaining it to everyone to get the awkwardness outta the way. maybe i made it more awkward though? i dunno whatever. anyways i'm sure my friends and roommates were sick of hearing me repeat myself about why my face was like this! haha these pictures don't even really do it justice to how bad it was peeling, but it's all i got for now. it was peeling on my earlobes, eyebrows, upper lip/mouth. i think the worst part was when it was peeling around my mouth and chin because that's where your face moves the most from talking, eating, laughing, anything. and the first two days the skin hadn't broken through yet so i felt like i could only open my mouth to a certain point. but it was only for a few days. also during that week, i was in the kitchen with a black hoodie on and pajama pants organizing the fridge, when a ton of people came over. i was liiiiiiike oh craaaaaap. so i just hid under my hoodie haha and some kid even asked ''whose the guy behind the fridge?" uhhhhhhhhh hiiiiiiiiii not a guy. girl. definitely girl. but i'm going to keep up with my treatments regularly until my wedding so i will keep you guys posted on how everything goes over the next 6 months! my next appt is in february and i'm doing a dermapen instead of a chemical peel this time and i'll share what happens with that! So this will go on for 6 months? Well, at least people will know what is happening the next time they see you peeling at work! Heh. I know it’s not easy having a skin that feels tight and itchy while on this treatment, but with the right care and application, this will yield wonderful results on your skin. And it was a good call to not scratch your face on that first day, as it could've lead to overexposure or even scarring. Anyway, I look forward to see your flawless skin on your wedding day! These peels are affect our face but should take care before using removing face products.